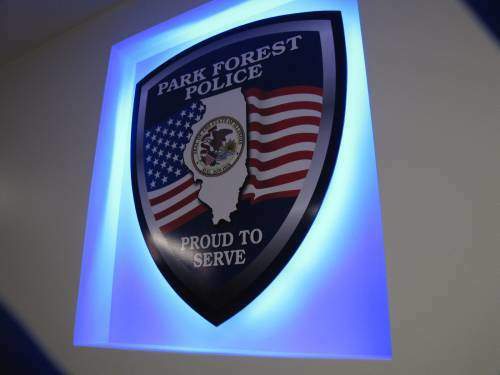 Park Forest, IL-(ENEWSPF)- Editor’s Note: These police reports bring us to January 28, 2019. In this week, a teenager was issued a municipal citation charging possession of cannabis. A Chicago woman, however, ended up with three court dates in three separate locations after police discovered she was not only allegedly driving without a valid license, but she was wanted on an active warrant out of Sangamon County, Illinois. Providing more details than readers will find in any other police beat reports, we invite readers to subscribe to get the whole story, every day. In an online poll, our readers favored heavily (93% to 7%) to continue receiving more details in these reports. We will honor this request as appropriate for individual reports. eNews Park Forest has always published addresses of those arrested and will continue to do so. 5 ILCS 140/2.15 states that the governmental body (for these reports, the Police Department), shall release information on those who have been charged, including their name, age, and address. This information is necessary to ensure the proper identity of those arrested. An arrest does not mean that a person is guilty. All those arrested are presumed innocent until proven guilty. It is the policy of eNews Park Forest to not remove items in the public record from publication. If your name is listed in the police reports, we will only add information relevant to the final disposition of the case at hand, e.g. “Mr. Smith was subsequently acquitted,” “Mr. Smith entered a guilty plea,” or “All charges against Mr. Smith were subsequently dropped.” We will do so upon receiving and verifying proof of such disposition. Persons wishing to leave anonymous information on any criminal matters including narcotics or gang activity are encouraged to call the Park Forest Police Department Investigations Division at (708) 748-1309.
eNews Park Forest reports this information because the public in the United States has the right to know. When that information is withheld or under-reported, it leaves questions. We also want to show the work that the police force does every day that is not reported. Police in Park Forest respond to thousands of calls per year, the vast majority of which do not end up with arrests. Whether it’s conducting a routine investigation, pulling over a drunk driver, or responding to a possible theft at a store, the work of the police officer deserves acknowledgment by the public. Moses J. Molex, 18, 22960 East Dr., Richton Park, was issued a municipal ticket on January 22 charging possession of cannabis after an officer responded to a report of a traffic crash in the 100 block of Westwood Drive at 11:29 PM. When the officer arrived, he observed two subjects attempting to push a vehicle out of the snow bank. One of the individuals was Moses Molex. The other man walked toward the officer and told him that he had struck a tree. As that man walked toward the officer, Mr. Molex quickly went to the driver’s seat of the vehicle and ducked down behind the vehicle out of view of the officer, according to police. Unable to see the hands of either man, the officer asked both subjects to take their hands out of their pockets and place them on the rear of the vehicle. The other man told the officer that while he was driving, he was unable to stop the vehicle on the curve of Westwood Drive and struck a tree. Mr. Molex shared a similar chain of events and further indicated that he was in the backseat of the vehicle. Three other officers responded to the scene. As the first officer at the scene walked toward Mr. Molex for a protective patdown, the officer smelled a strong odor of cannabis emanating from Mr. Molex and also from the direction of the vehicle. The officer found a small plastic baggie containing a green leafy substance, which later field-tested positive for the presumptive presence of cannabis, in Mr. Molex’s right front pocket. The driver and another passenger were also searched with negative results. A towing company responded and the vehicle was towed and seized under local ordinance. Mr. Molex was issued the municipal citation charging possession from cannabis, released from the scene, and given a ride to his residence by one of the other officers that responded. The two other men, the driver, and the other passenger were released from the scene and also given a ride to their homes, according to police. Sheaven S. Harris, 28, 6903 Merrill Ave. #2, Chicago, was arrested on January 24 and issued state citations charging no valid driver’s license, operating an uninsured motor vehicle, and obstructed windshield when an officer who was parked in the 2500 block of Western Avenue monitoring the flow of traffic observed a black 2008 Chevrolet Cobalt traveling north on Western Avenue from 26th Street that had an item hanging from the rearview mirror of the vehicle at a height that appeared to “materially obstruct the driver’s view to the front,” according to the report. Ms. Harris was also issued a municipal citation charging possession of cannabis. The officer conducted a registration check and learned that the owner of the vehicle, Sheaven Harris, had an active, extraditable warrant from Sangamon County, according to police. The officer further learned that Ms. Harris’s driver’s license had expired on January 27, 2016, according to police. The officer activated his patrol vehicle’s emergency lights and curbed the car in the parking lot of the Marathon Gas Station, 1719 Western Avenue, Chicago Heights. The officer spoke to the driver and sole occupant of the vehicle who “immediately identified herself as Harris,” according to the report. The officer saw several strands of beaded necklaces hanging from the rearview mirror. The officer told Ms. Harris the reason for the stop and asked for her driver’s license and proof of insurance. Ms. Harris provided an Illinois identification card which confirmed her identity but related that she did not have a valid insurance card because the vehicle was new. The officer confirmed vial SouthCom Dispatch that Ms. Harris’s driver’s license had expired and that the Sangamon County warrant was extraditable. Another officer arrived on the scene to assist and Ms. Harris was asked to exit the vehicle. She complied and was placed in handcuffs. The officer who pulled her over asked if anything illegal was inside the vehicle and Ms. Harris responded that she had cannabis in the glove compartment of her car, according to police. Ms. Harris does not have a medical cannabis license, according to police. Ms. Harris was able to post a cash bond for the Sangamon County warrant and was issued a court date of February 5, 2019, at the Sangamon County Courthouse in Springfield, Illinois. With regard to the state citations, Ms. Harris was assigned a court date of February 22 at the Markham Courthouse. With respect to the municipal citation, Ms. Harris was assigned a court date of February 7 in the Park Forest Courtroom. Her vehicle was seized and towed per local ordinance. 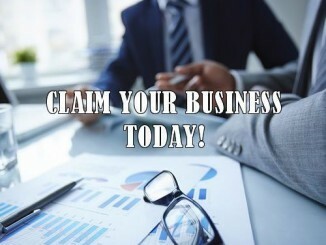 Come On Board As We Continue To Publish Local News!